England expects that every man will do his duty! That was the battle cry from a signal sent by vice admiral Horatio Nelson from HMS Victory ahead of the Battle of Trafalgar in 1805. And it could easily be the same clarion call from Three Lions supporters as manager Gareth Southgate’s charges line up to take on their Colombian counterparts in the knockout match of the FIFA World Cup in Russia. The good fortunes of the national team have managed to galvanized the nation somewhat, while the tournament itself is turning into a resounding success, too, despite a fair amount of scepticism during the build-up. 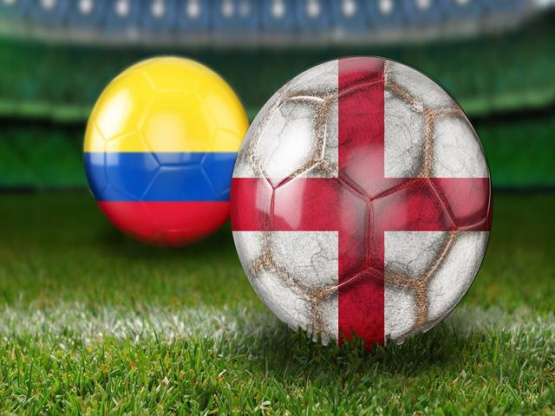 England meet Colombia in Moscow after reaching the last-16 of the World Cup as Group G runners-up. The Three Lions, inspired by talismanic captain Harry Kane, finished behind Belgium following their 1-0 defeat in Kaliningrad, having opened the tournament with wins over Tunisia and Panama. Of course, here in Battersea we too have been caught up in the upbeat mood surrounding the World Cup. It’s not just England who have been getting backing from residents; with such a diverse and cosmopolitan populace, fans of other teams taking part have been enjoying the tournament, too. Witness bars, restaurants, pubs and clubs in and around the Battersea area for evidence of the celebrations with nations from around the globe enjoying pockets of support in between those supporting England. Results have varied but the good-natured banter has prevailed with Brazilians, Peruvians, Danes and the French among many cheering on their nations in our neck of the woods. It’s entirely fitting that Battersea should be embracing the planet’s biggest sporting spectacle given that we have our very own slice of football history on our doorstep. In a small but beautiful way, Battersea has helped shape the game of football as it is today – the very game that is be watched by hundreds of millions of TV viewers tuning in to watch the drama unfolding in Russia as the World Cup enters what commentators might describe as “the business end”. It's all because an inaugural match using the rules laid down by the newly formed Football Association took place in Battersea Park in 1864. The exhibition match, which was 14-a-side, was played between an FA President’s XIV and an FA Secretary’s XIV and the team were selected from a group of the most celebrated footballers of the time. For the record, the former ran out 2-0 winners thanks to two goals from Charles William Alcock, who was also a sports journalist. So, let us celebrate this colourful football jamboree as it unfolds, with goals, saves, joy and heartbreak all before us as the eagerly anticipated final looms on July 15. And who ever triumphs, you can still spare a cheer for Battersea – our history allows it!